Focus on Fauna is joining with the King Parrot Catchment Fox Control Project (KPCFCP) to hold a forum on foxes this coming Sunday 22nd April at Strath Creek Hall, starting at 10am. A panel of experts will provide an overview of the damage the introduced Red Fox, Vulpes vulpes, causes particularly to native wildlife; report on a fox management research project; and look at various methods of control. 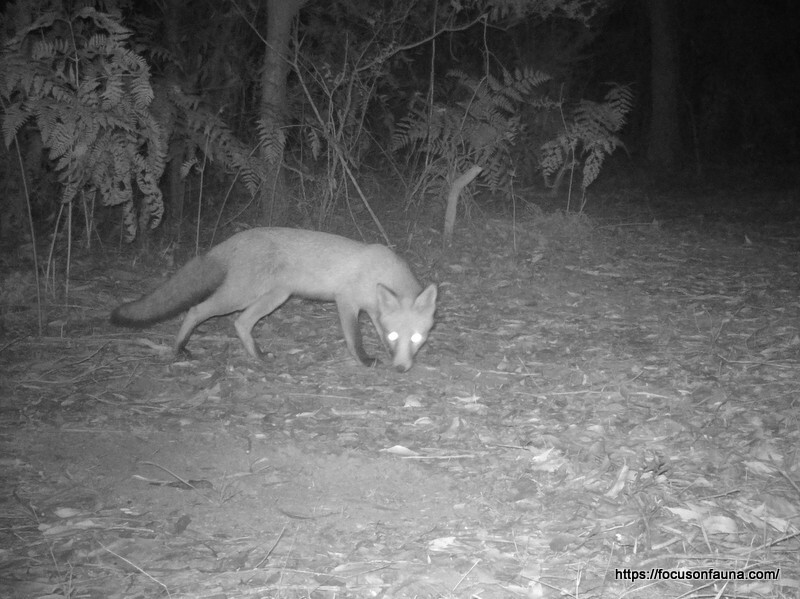 To establish the abundance of foxes in the district, the KPCFCP has been running a program using remote cameras on both private and public land in the King Parrot Creek catchment area. 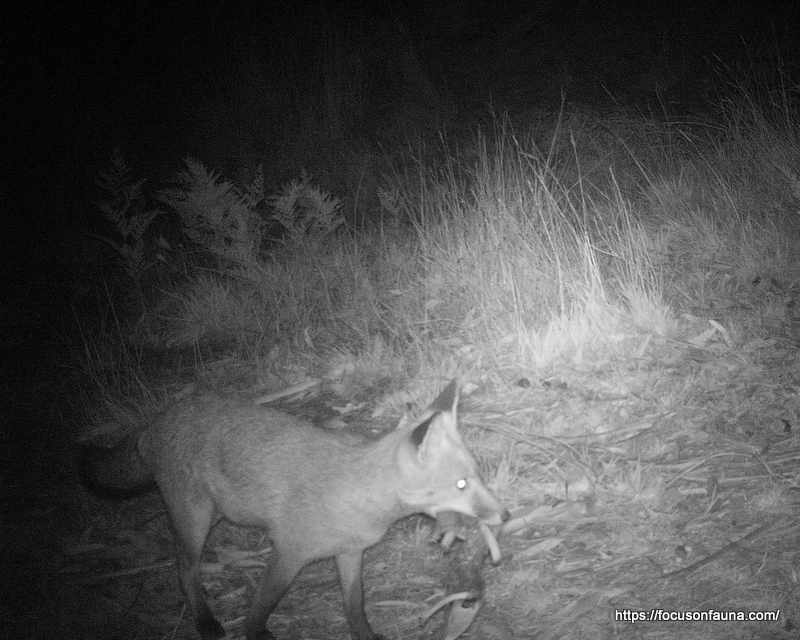 The latest round of monitoring has recorded plenty of foxes as well as a variety of native animals that are vulnerable to predation by foxes. Click on any of the photos below to view as a slide show. 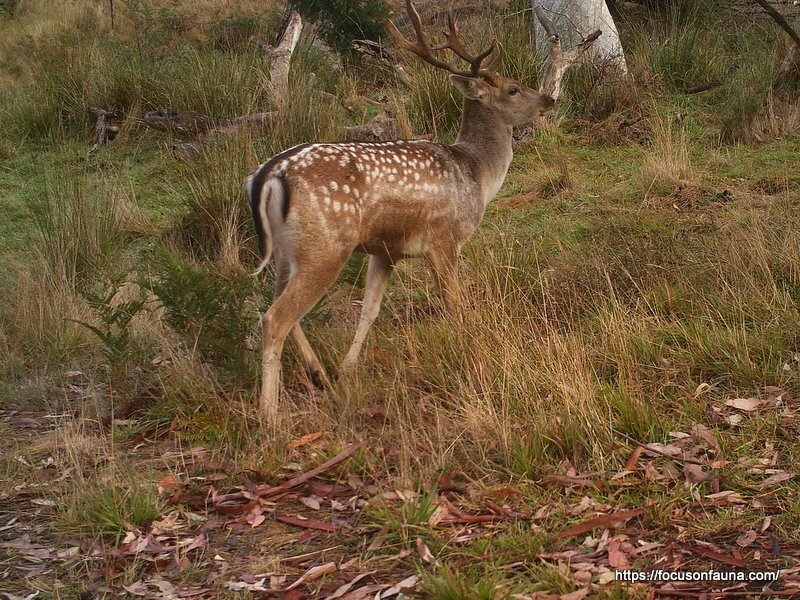 The camera monitoring program also shows up other pest species in the environment such as cats, another introduced predator of native wildlife, and deer, which can cause significant damage to native vegetation and fragile ecosystems. 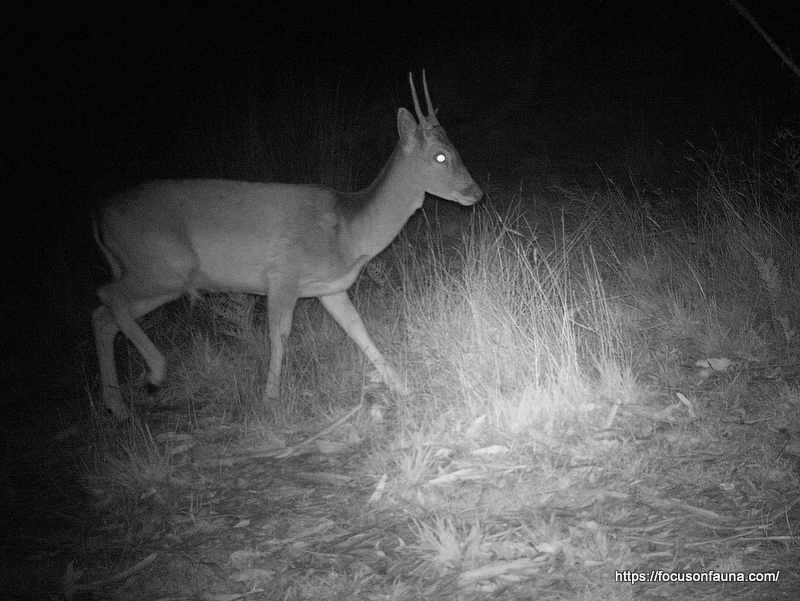 For a snapshot of sightings of foxes and a range of other feral animals go to the FeralScan website.